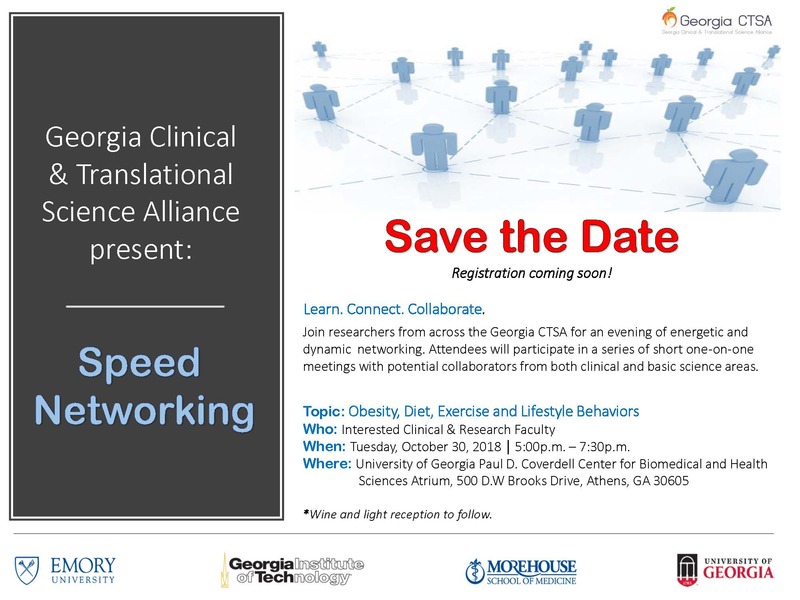 Join researchers from across the Georgia CTSA for an evening of energetic and dynamic networking. Attendees will participate in a series of short one-on-one meetings with potential collaborators from both clinical and basic science areas. The event will be held at UGA from 5:00-7:30 p.m.